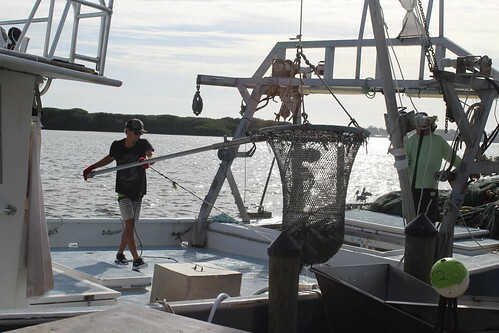 If you love seafood and want to savor a taste of Florida’s history, then you don’t want to miss the annual Cortez Commercial Fishing Festival, which will be held February 13-14, 2016 in the fishing village of Cortez. 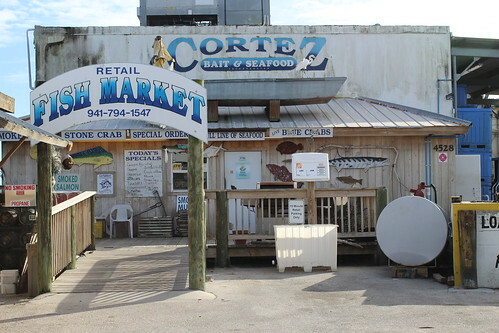 Cortez village represents one of the last working waterfronts on Florida’s Gulf coast that is dedicated to commercial fishing. Each year, tough and ingenious Cortezians join together to celebrate and share the history and proud heritage of their community at the Cortez Commercial Fishing Festival. This two-day event allows festival-goers to enjoy live music, clog dancing, boat rides, marine life exhibits, nautical arts and crafts, beautiful waterfront vistas – and of course, plenty of delicious local seafood! Trust me, you do not want to miss out on the mullet hot dog. Cortez Bait and Seafood is one of several fish markets in the historical fishing village. This year’s Festival marks its 34th anniversary. Cortez has been a center of commercial fishing since the Spanish colonial era, and prior to that, Native Americans depended upon the region for its abundant marine life. This little village has withstood the test of time, surviving hurricanes, red tides and storms of regulations, habitat degradation and economic upheavals. The annual festival showcases how the pioneering spirit of fishermen past continues today in the industrious locals who carry on the community’s legacy. All of the proceeds from the festival support the maintenance and restoration of the FISH Preserve, a completely community driven and funded project to preserve a more than 95 acre plot of mangrove wetlands immediately east of Cortez village. This preserve, purchased by the Florida Institute of Saltwater Heritage (F.I.S.H), represents one of the last few undeveloped shorelines in the region and provides critical habitat for many of the fish species upon which Cortez depends. The effort to protect this land in the face of expanding coastal development demonstrates the perseverance of one determined little village. Their effort has achieved international recognition, gaining the endorsement of famed ocean-explorer Jean Michele Cousteau. 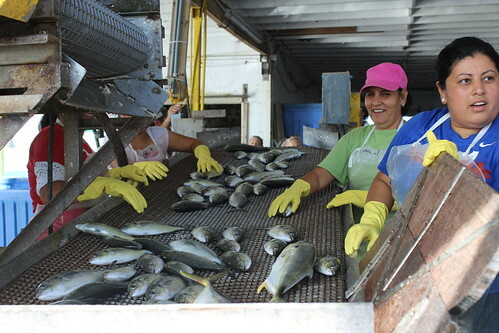 Fish fresh from the boat is sorted according to size at A P Bell Fish Company in Cortez. Festival-goers are guaranteed to have a wonderful time – and at the same time, can be proud to be part of an effort to protect habitat and an important piece of Florida’s history. Festival proceeds also assist with preservation and restoration of historic local landmarks, such as the Cortez 1912 School House. The 120-year-old community, with its 97 historic buildings, is listed on the National Register of Historic Places. A commercial fisherman brings in mullet from his boat along the coast of Cortez. Where: 4415 119th St. W., Bradenton, FL 34215. Admission $3.00, kids under 12 free. All proceeds go to the FISH Preserve.